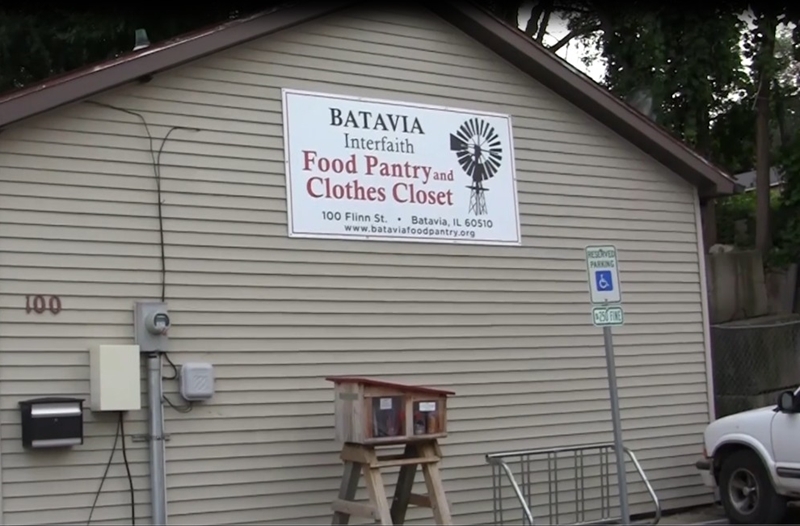 The Batavia Interfaith Food Pantry is a not-for-profit 501(C)(3) organization founded by local churches. Its purpose is to serve the needs of our community. Those who have lost a job, are underemployed, disabled, homeless or just have a need, may come to the pantry for food and household supplies. When you have time, please volunteer. When you have extra, please share. FOOD: a list of most needed items is below. MONETARY DONATIONS: Every dollar counts. A $1 donation buys $8 of food from the Northern Illinois Food Bank. When you are in need, please come. The Batavia Interfaith Food Pantry newsletter is a quarterly publication. It aims to keep community members aware of the ongoing BIFP needs, activities, and planned events. If you have an activity, event, or anecdote that you feel should be included in one of the upcoming newsletters please click on the envelope icon in the lower right of this page and send a note to the Pantry Staff. You can access the January 2019 newsletter here. “Feeding the Hungry” – a poem by Marnie Mamminga (pantry volunteer). net proceeds to go to the Batavia Interfaith Food Pantry and Clothes Closet. Check here for details.